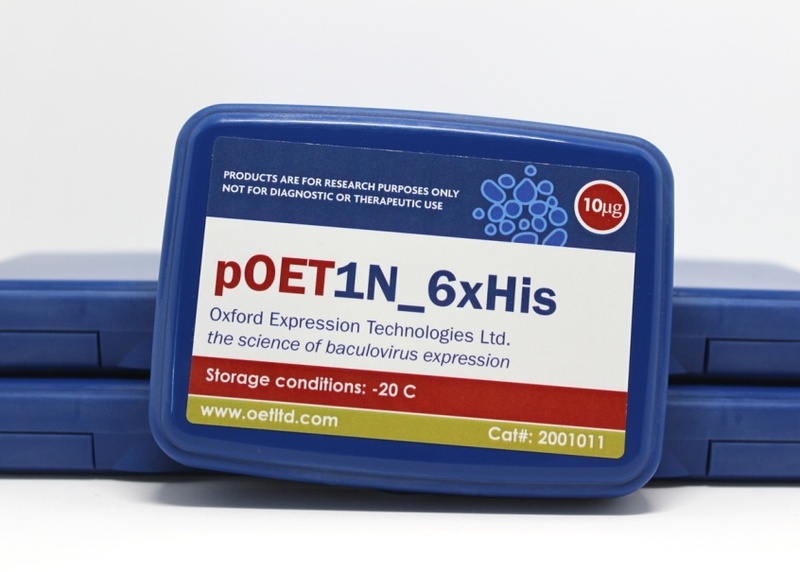 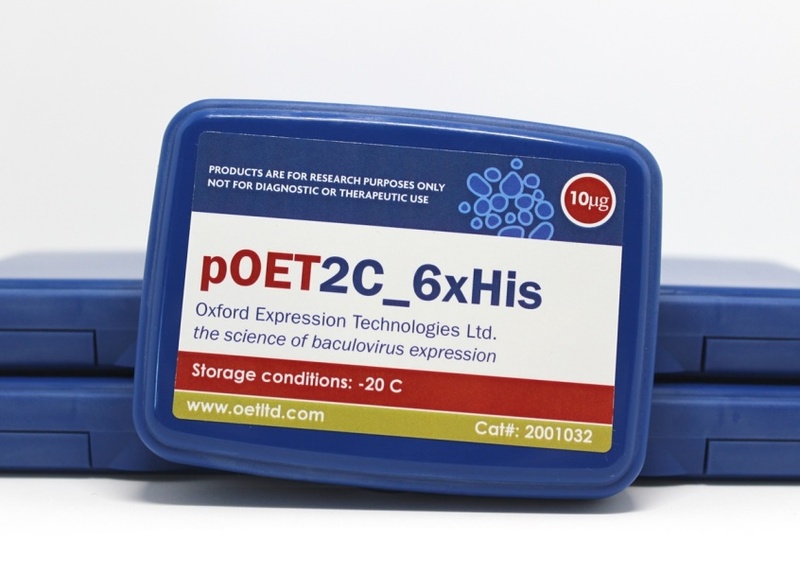 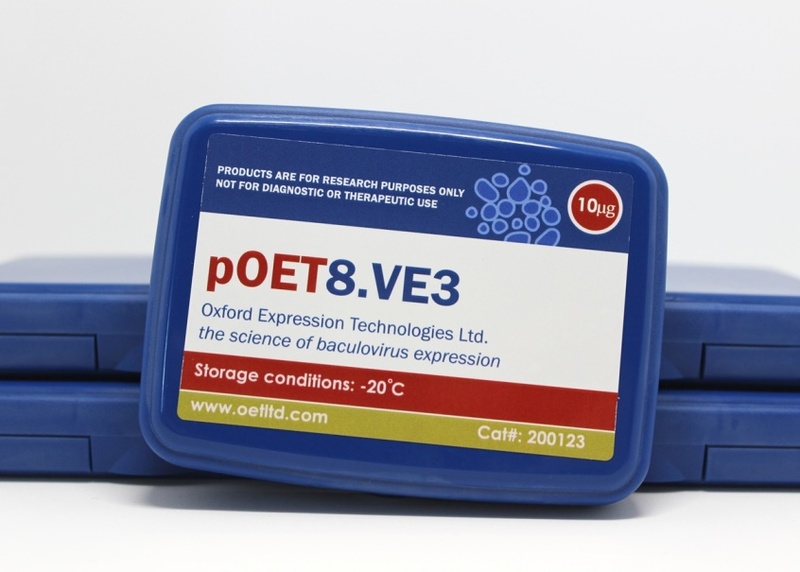 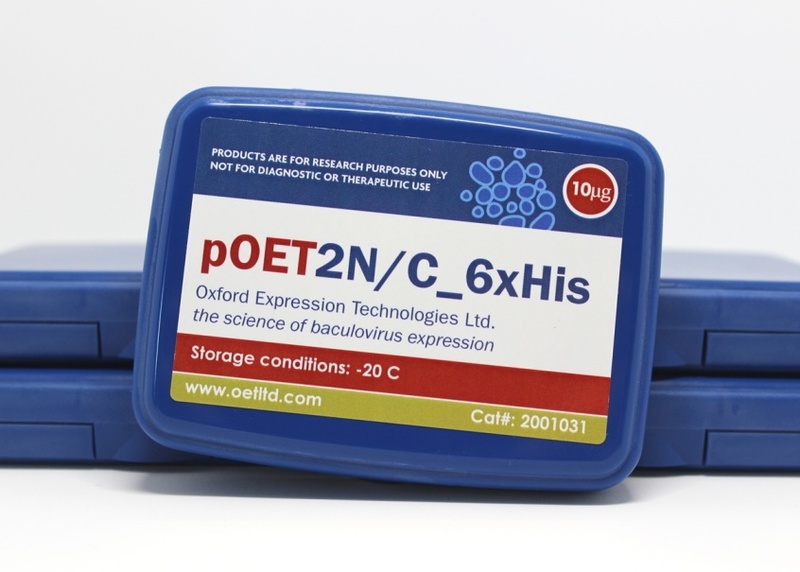 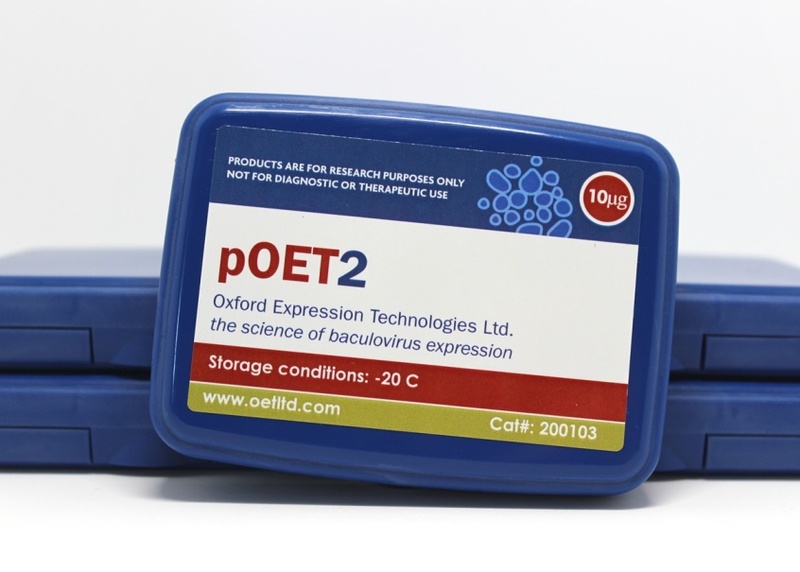 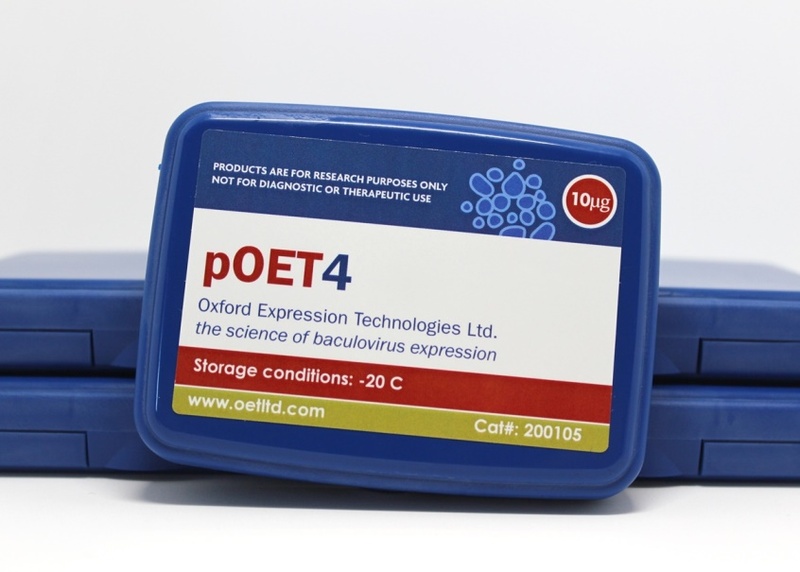 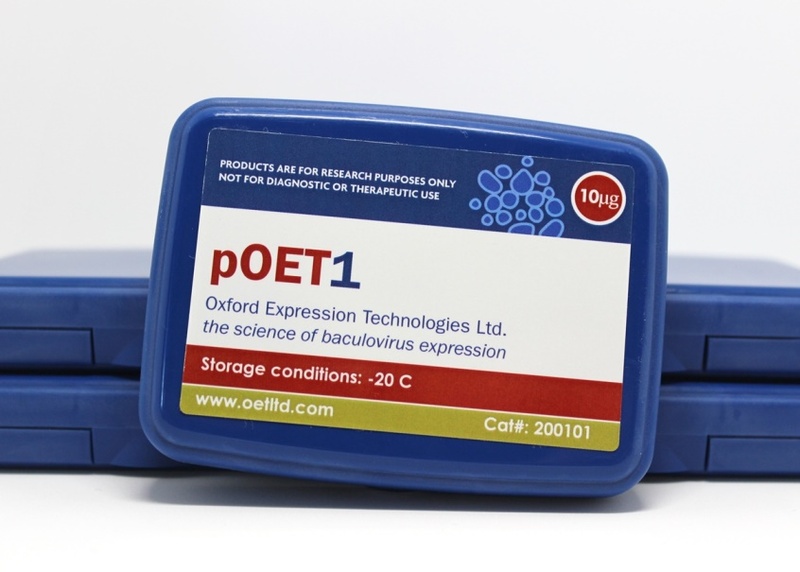 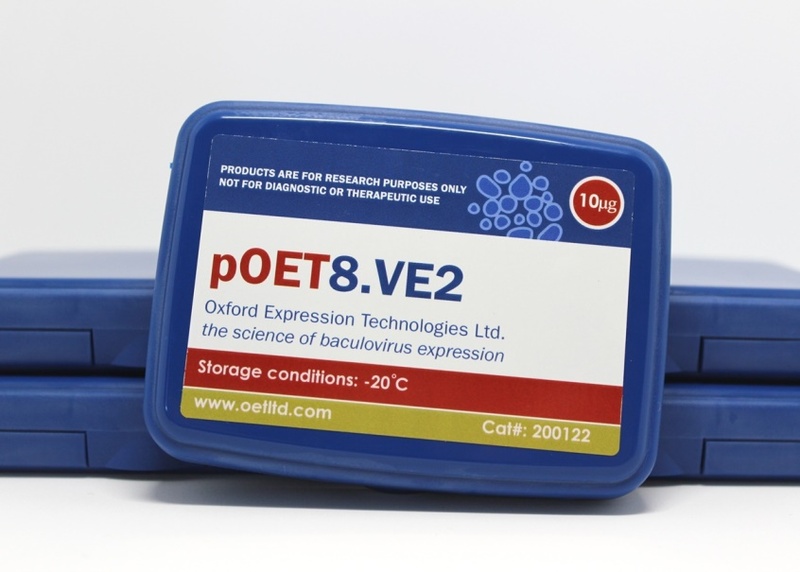 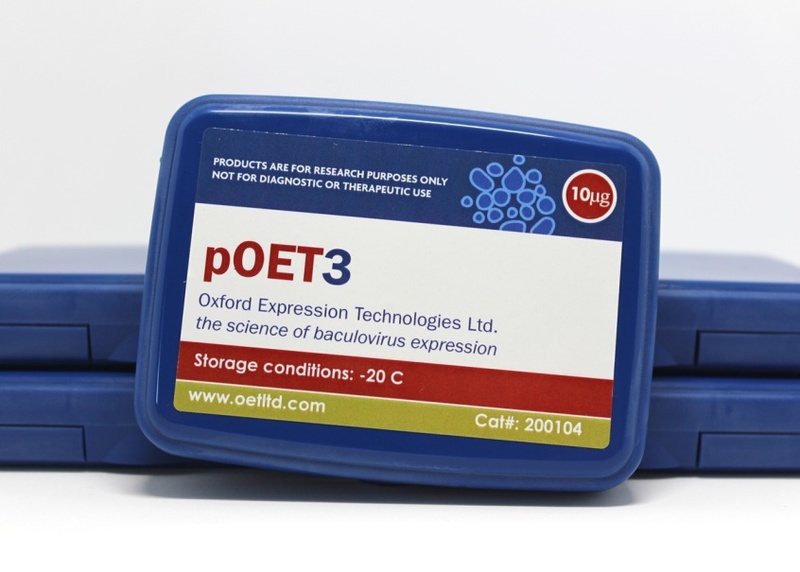 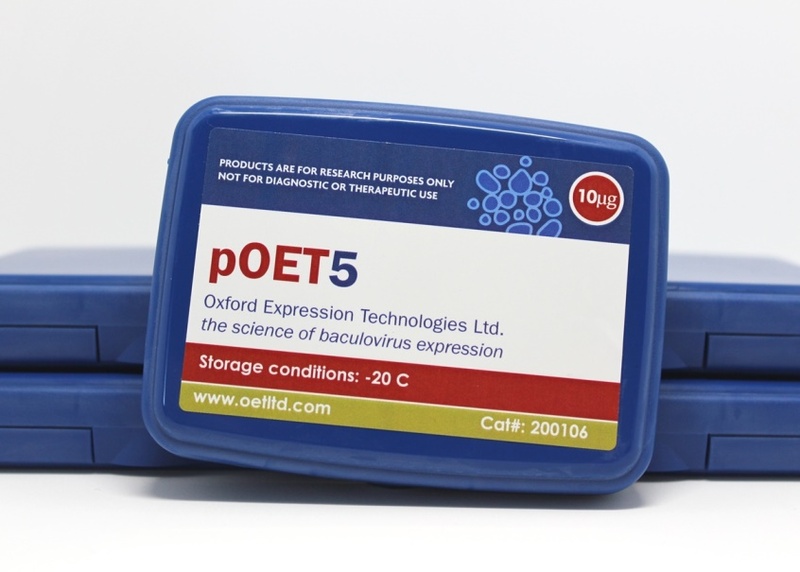 OET's range of pOET transfer plasmids are designed for high level expression of foreign genes under the powerful AcMNPV polyhedrin (polh), p10, p6.9 or CMV gene promoters. 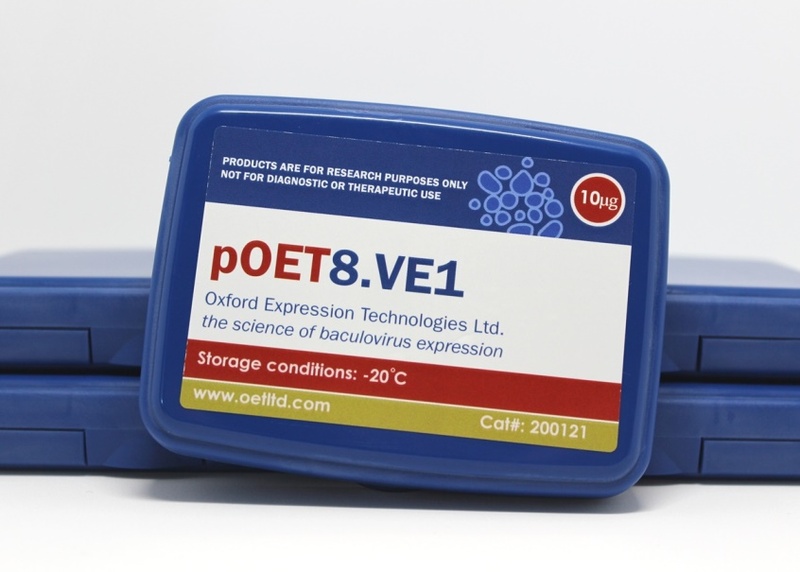 pOET plasmids are smaller than other available transfer vectors which greatly facilitates cloning steps. 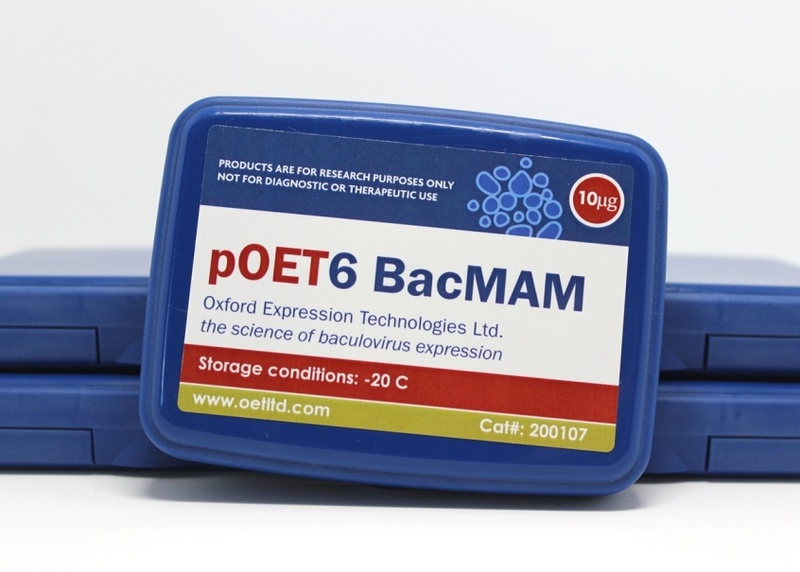 Each vector has a bacterial origin of replication and an ampicillin resistance gene for selection in E. coli whilst the MCS has numerous unique restriction enzyme sites for insertion of the foreign gene in the correct orientation(s).